Bandage stickers designed by Jolin and some of her friends/co-workers will be sold at Taipei Arena on the days Jolin will perform (May 22nd to May 25th). These stickers are a healing symbol, they're saying to gay people who are fighting for equality and for marriage that they should not give up. 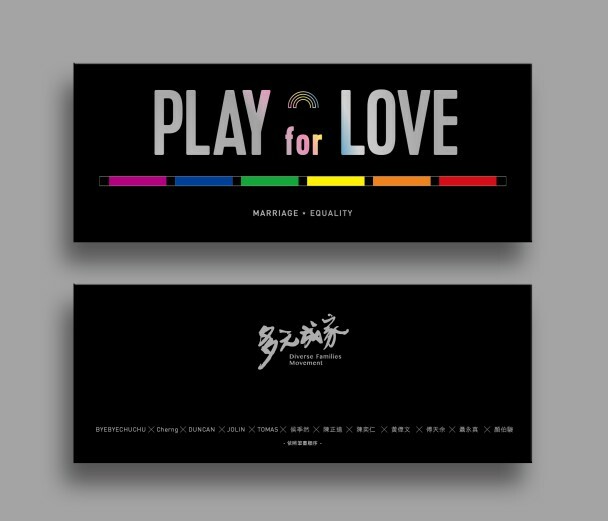 This campaign is called "PLAY for LOVE"! All proceeds will go to charity and will be used to promote equal rights and gay marriage.